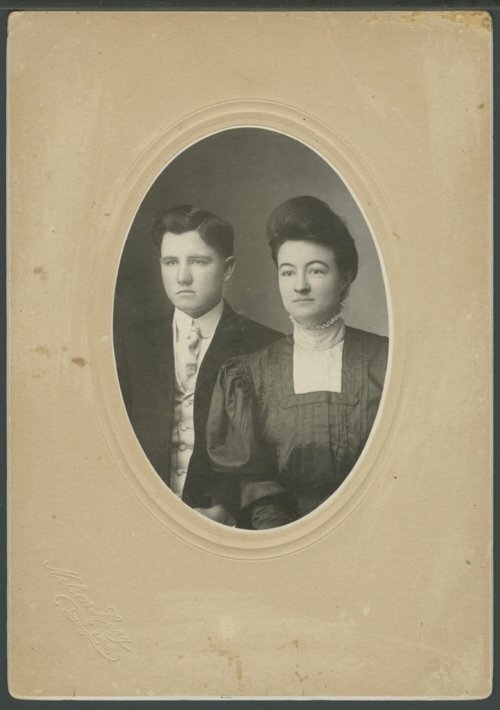 This is a photograph of Edward Ray and Julia Wright Sloan taken on their wedding day. Edward Ray Sloan later served three terms in the Kansas House of Representatives from 1923 to 1929. In March 1931, he was appointed by Governor Woodring to fill a vacancy on the Kansas Supreme Court. Judge Sloan served the remaining 21 months of the term but opted not to seek election for another term.